Analog (or analogue) data does not contain any measurable or discrete value. Alternatively Digital data is discrete. Computers can only perform with digital data. In order to transfer analog data to digital data, the analog data has to be sampled and then converted to an approximate value. Digital data is more condensed and more authentic as it is conveyed as digital states. Computer is the best source for processing and transmitting digitized data. Besides, digital data can also be maneuvered through computer - as for instance any pictures can be scaled and rotated rapidly. One can translate all the essential materials into digital format instantly with the utilization of a scanner (or a digital camera) and Optical Character Recognition software. 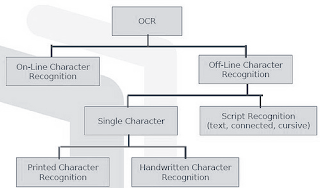 Optical Character Recognition, or OCR, is a tool that allows you to convert various documents like scanned paper documents, PDF files or images into editable and searchable data. To facilitate taking out and repurposing data from scanned documents, images or image-only PDFs, you require a OCR software that can recognize letters on the image, place them into words and then - words into sentences. This will lead to access and edit the content of the original document. There are three primary factors like integrity, purposefulness and adaptability (IPA*) which represent the core of OCR facilitating to reproduce natural or human-like recognition. Initially, the program evaluates the composition of document image. Then it segregates the page into elements like blocks of texts, tables, images, etc. The lines are separated into words and then - into characters. When the characters are chosen, the program compares them with a set of pattern images. It takes several hypotheses about the nature of the character. With a support on these hypotheses the program scrutinizes diverse alternatives for breaking of lines into words and words into characters. After processing vast number of such probabilistic hypotheses, the program at last acquires the decision and provides you the recognized text. OCR also offers dictionary support for 36 languages facilitating secondary investigation of the text elements on word level and guarantees exact examination and recognition of documents. OCR usually includes three stages: Open (Scan) the document, Recognize it and then Save in a suitable format (DOC, RTF, XLS, PDF, HTML, TXT etc.) or export data directly to one of Office applications such as Microsoft Word, Excel or Adobe Acrobat. The whole process of data conversion from original paper document, image or PDF involves less than a minute, and the final recognized document looks just like the original. OCR software facilitates you to save a lot of time and effort while forming, processing and repurposing various documents. 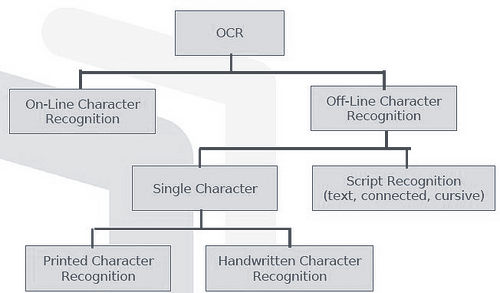 Besides, one can apply OCR software for generating searchable PDF archives.